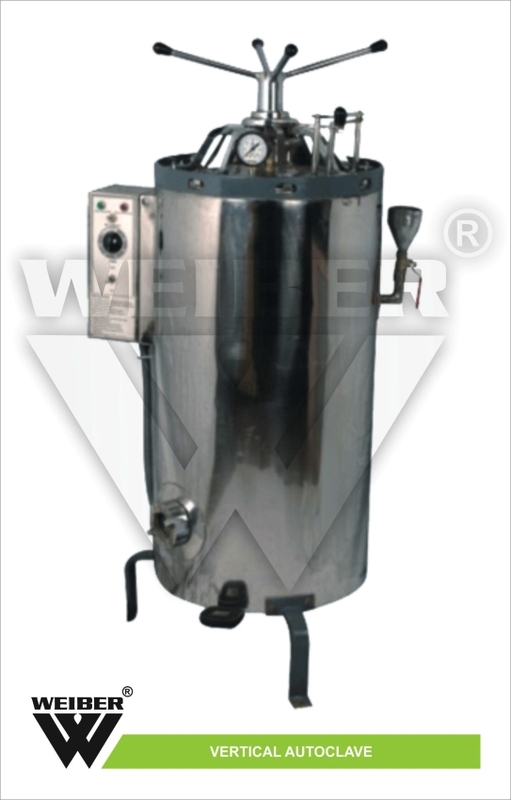 Vertical Autoclaves Deluxe are widely used for day to day sterilization procedures and in various laboratory applications. We specialize in both standard and customized models, specifically designed to meet the challenging demands of various scientists for individual and specialized research applications. 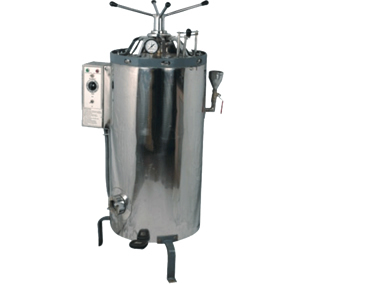 It is also known as Sterilizer and Vertical Sterilizer. The inner and outer chamber is made of high-grade stainless steel sheet; the strong and sturdy sheet lid is also made of high grade stainless steel sheet. The unit is fitted with very efficient radial locking system made of mild steel, chrome plated, with paddle lifting device. Supplied complete with stainless steel basket. The unit is fitted with safety valve, pressure release valve, water level indicator, cord and plug.